Bringing A Little Bit of India to Dublin: Ber & Sara’s Story..
A little bit of India came to town recently, when on a glorious sunny day in Dublin we were visited by Bernadette & Saraswati. The two firm friends have been on a journey, both professional and personal, that has led them toward helping disadvantaged children in India. This is their story.. 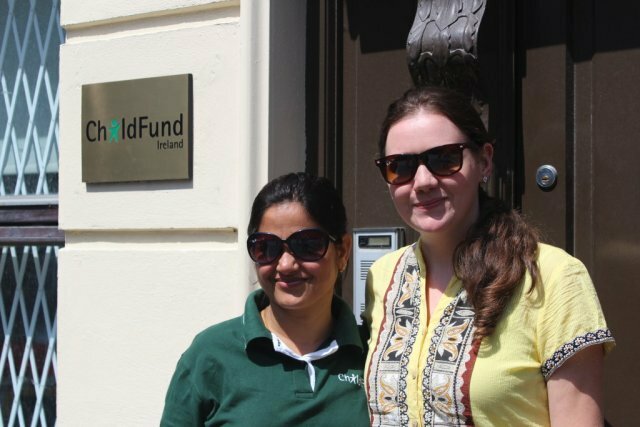 It was uncharacteristically sunny in Dublin, the day Bernadette & Saraswati dropped by the ChildFund offices for a chat. Bernadette previously spent time working for Child fund Ireland, helping, amongst other things, to develop material for our Development Education Programme for schools. Time and again though, she has been drawn away from Ireland, toward India.. a land that she loves like a second home and feels a special kinship with. Bernadette’s good friend Saraswati is a programme coordinator with ChildFund India. Like Bernadette, she has been on a personal journey that has led her towards working with disadvantaged children, and working to improve the communities in which they live. At ChildFund India, Saraswati can directly influence the educational, and life prospects, of young people, particularly young girls. This important work, strongly resonates with her personal experiences of growing up as a young girl in India. On their visit home to Ireland, (Sara’s first trip outside India, including her first time to see the ocean!) these two formidable women called into to our office, Over several cups of tea, we had an opportunity to discuss their personal and professional journeys’, and what led them toward working together in India, helping children to have a better start in life, and better educational opportunities. 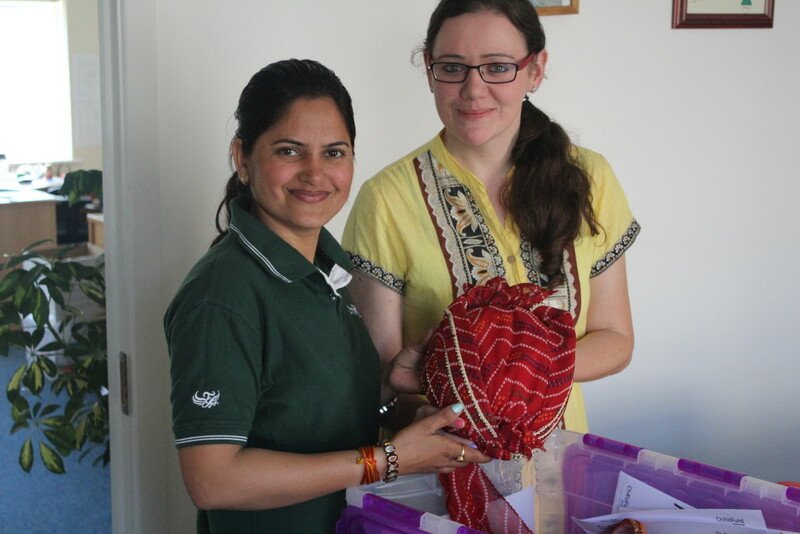 Ber & Sara with a traditional pagri (turban) they helped find for us in India! Bernadette in her own words.. Originally I decided to go to India for my college placement, and immediately fell in love with the country. I worked with a Public Health organisation and met my friend Saraswati there. Travelling from a small village in West-Limerick to Rajasthan, the biggest state in India was a bit of a shock to my family members. With great support from Indian friends and colleagues however, I didn’t want to leave. Although I was instantly faced with the issues of pollution, over-population, and corruption, I managed to seek out the positives and make some excellent friends who guided me through field and office work in the NGO sector. I’ve since made 5 trips back to India, working with children and adolescents in education, and with women in empowerment and health programs. After my friend Saraswati joined ChildFund-India in January 2014, I went to visit and see the work they were doing. I spent 10 weeks aiding Saraswati in a wonderful program that gives free scholarship fees to girls from tribal communities who are interested in undertaking higher education studies (i.e.. College/University). 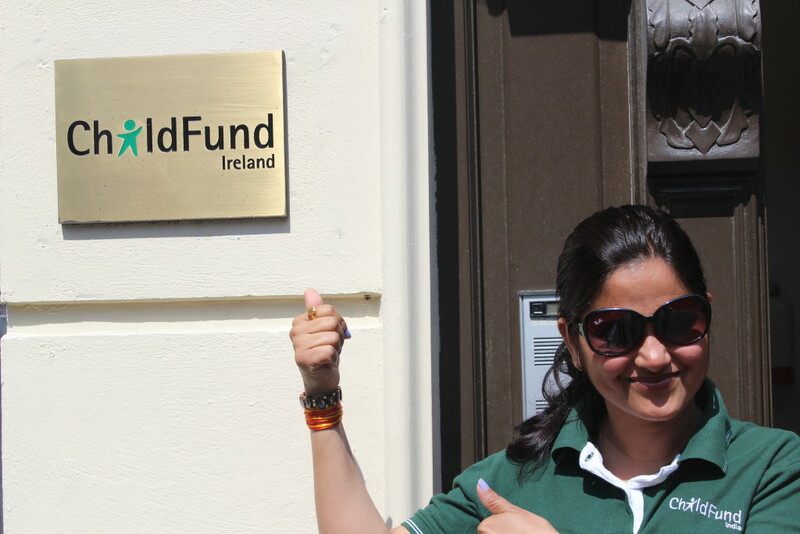 After becoming involved with ChildFund’s work in India, I was highly inspired to put the knowledge I’d learned to create better awareness back home in Ireland. I subsequently started working with ChildFund Ireland’s Development Education Program, developing resources to teach Irish Primary Schools about developing countries like India. In 2015, I again returned to ChildFund India for another 3 months, and lived in a tribal village called Jhadol, outside of Udaipur city in Rajasthan. Living in such an unusual area was challenging, but the peaceful and relaxing atmosphere sucked me in, and it was difficult to re-adjust to the busy lifestyle back in Ireland. Each journey in India filled my mind with new knowledge and a much deeper understanding of their culture, traditions and the ways in which their society is working hard to develop. India is still poor country, but it is the world’s fastest growing major economy and huge changes are swiftly approaching. When my friend decided to come to Ireland, I was over the moon. It’s difficult to compare separate countries until you can actually come and see for yourself, so I was delighted to finally introduce Saraswati to Ireland this year. Although I love living in India, I always feel very proud of being Irish and seeing the unique beauty that surrounds us every day. I belong from a small rural village in Hanumangarh District, Rajasthan, not far from the border of Pakistan. Life growing up was very tough for me and my brothers and sisters, mostly due to our society’s caste and culture system. We all worked hard on the farm, and it was difficult for us to attain a proper education as a result. Our society frowns upon girls going to school, so I really had to fight to be educated. They expected girls to get married at a young age, move to their in-laws home, and solely undertake house and farm work, as well as bearing children. When I was 15 years old, I was pulled out of school for one year to get married. As married life was unfamiliar for me, I longed to go back to school and continue my education. After skipping two years, I completed 12th class (Leaving Certificate equivalent) and pleaded with my parents and in-laws to allow me accept a job offer with an NGO in Barmer. Moving even further into the desert area that divides India and Pakistan, I started to learn about NGO’s and develop an interest in helping others as well as myself. With my husband, I later moved to Jaipur city and started working with an international NGO. It was difficult to work and pay for my study at the same time, but I managed to finished my B.A., B.Ed. and two post-graduate degrees in Rural Development and District Health Management over a period of 6 years. When I saw a posting for a Program Coordinator with ChildFund India, I knew it was perfect for me. I wanted to help young girls who were in a similar position to me in my childhood. Having empowered myself through education, it felt fitting that I could now encourage these girls to move forward after finishing school, and understand the range of career advancements that were available to them. When I met Bernie from Ireland in 2010, she immediately encouraged me to start speaking English. 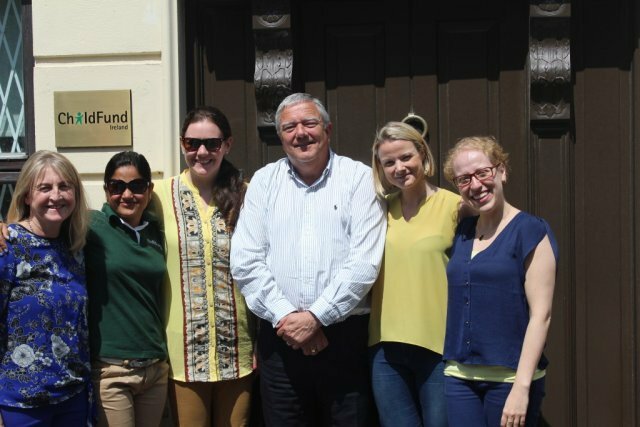 After working alongside me as a volunteer for ChildFund India, Bernie fortunately joined ChildFund Ireland after returning home, and I was delighted that we were again working for the same organisation. Having worked and lived together over the past five years, my interest in travelling to abroad had reached an all-time high. The reception I got from Irish people when I came here was unbelievably friendly. Many things surprised me – the freedom of the people, the culture, the clean environment, excellent roads, great school conditions, care of old people, personal privacy, and the same facilities in both rural and urban houses. In India, the equality gap between villages and cities in both housing facilities and social culture is still the biggest barrier. I never imagined that it would be possible to visit ChildFund in another country, and the welcome I received from ChildFund Ireland was so kind. I love the friendly environment here, and coming to Ireland was a dream come true. Now it will be difficult to adjust back in India, but I hope I can take some of the positives things I learned in Ireland and use them for good when I return. 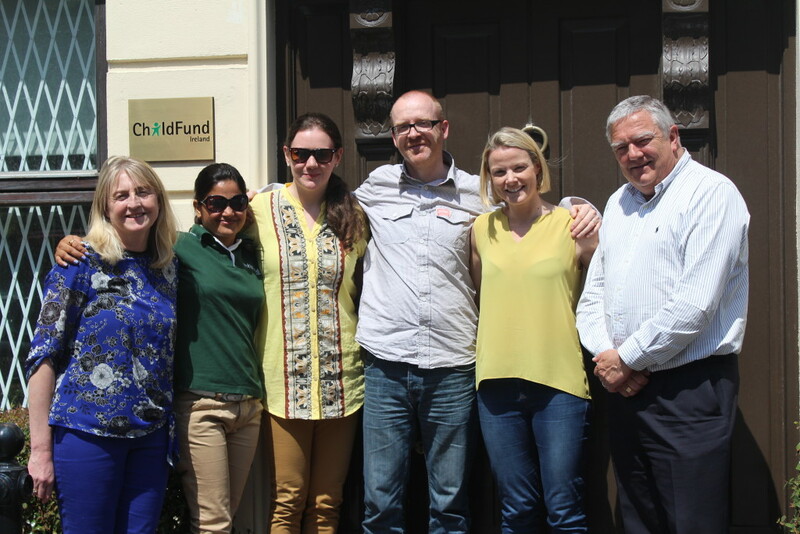 ChildFund Ireland would like to thank Ber & Sara for calling in and for sharing their inspiring stories about development work, and why it matters on both a professional and personal level. We hope next time they visit, they bring the sun with them again! 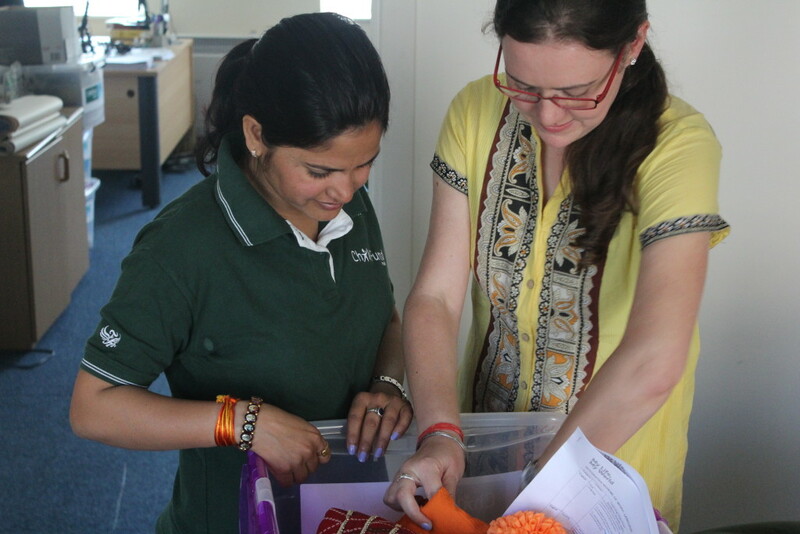 You Are Here: ChildFund Ireland > Blog > Bringing A Little Bit of India to Dublin: Ber & Sara’s Story..